In light of the success of the Transformers ‘soft reboot,’ Bumblebee, it may be time to get a little optimistic about the future of Transformers films again. There’s still some contention about the exact relation of Bumblebee to its film predecessors — namely on the part of Lorenzo Di Bonventura, who returned to produce Bumblebee along with Michael Bay. Bonventura defends the movie being a direct prequel to the previous Bay series despite numerous discrepancies perhaps best saved for their own article. Regardless, Bumblebee has done well enough to warrant a sequel, so it’s time for a little healthy speculation on where we could go from here. With so many familiar faces teased in Bumblebee, the first question on any Transformers fan’s mind is likely to be, ‘who’s next?’ Speculation for the previous Bay films always consisted of a nervous, ‘who’s next, and depicted how faithfully?’ But with Bumblebee’s evident loyalty to the original franchise, there’s a great possibility that we may see our favorite characters appear as we’ve always wanted them to. There are, of course, a lot of characters on the Transformers roster, so it’ll be a while before we get to many of them. But for now, let’s take a look at the top 10 Transformers characters who most deserve a faithful film appearance. And Commander Modesty makes the list! Superior forces have arrived! Sass was one of the few things the Bay films did not lack by any means, so Sky Lynx doesn’t exactly make this list for his shining personality. Mostly. He does, however, offer something the Bay films only ever vaguely expand upon: space transportation. Dark of the Moon and Age of Extinction features a lot of completely forgettable carrier and smaller ships. The Nemesis briefly appears to have crashed on one of Saturn’s moons in Revenge of the Fallen. The Ark also appears crashed on Earth’s moon, though the Autobots assumed it was completely destroyed. And the Wreckers’ ship, the Xantium, meets its destruction in Dark of the Moon. The Autobots are thus primarily relegated to whatever they can piece off the Decepticons. Needless to say, it’s all very utilitarian. One of the cooler things about Transformers is that most things are sentient, all the way up the scale from nanobots to Cybertron itself. With a few exceptions, like the Ark and Nemesis, even their transportation transforms. (Because, let’s be real, why buy a toy ship when you can buy a transforming toy ship?) There are, of course, the Cityformers if you want to go really big on the Trypticon and Metroplex scale, but not quite the Unicron/Primus planet-sized extreme. But since some filmmakers seem wary of going too big, Sky Lynx, or Astrotrain on the Decepticon side, or even Omega Supreme, are a very happy medium. There might be cooler, more sci-fi means of long-distance transportation in the era of teleportation and what have you. But there’s something so sweet about riding on a living space shuttle. And putting lynx legs on one is a great creative break from the realism the films have clung to so far. Plus, now that the space shuttle is defunct, it could be a nice nostalgia throwback in more ways than one. Or even a fun running joke about Sky Lynx’s bruised ego over no longer being the latest and greatest. Though, on that note, Orion Cosmos, anyone? We’re changing the number 10 to Cosmos now. Beast Wars crossovers with regular Transformers media can be very take-it-or-leave-it. Partly because Beast Wars is one of those special impossible-to-recreate classics. And partly because there’s something jarring about putting Earth animals and cars together, much less trying to explain them on Cybertron. Plus, before you know it, people start yelling about ‘trukk not munky.’ That said, it’s happened more than a few times, and it will likely happen again. Short of the fabled Beast Wars movie, character cameos in regular Transformers films could be cool. Why Tarantulas, though? Imagine Transformers taking a dip into the quasi-horror film genre with a very evil, mad-scientist villain who is not only creepy because he’s capturing bots to perform weird experiments on, but is also a giant spider with the primest of prime maniacal laughs. Transformers has its fair share of mad scientists, but Tarantulas is just so much more dynamically sadistic and conniving than characters like Shockwave. A very, very close second might be IDW’s Pharma, or Jhiaxus, but Tarantulas wins for the nostalgia factor. And the giant spider thing. Picture The Web on the big screen, relive your childhood nightmares. On the Beast Wars note, Dinobot is arguably among the most iconic characters in the franchise. He was, after all, the first ever inductee to the Transformers Hall of Fame. He’s appeared a couple times outside of Beast Wars, but Dinobot is quite a bit harder to imagine inserted into any old Transformers plot. His Beast Wars arc was just so perfectly done that there seemed to be little point in trying to recreate it. Any attempt to work further lore around it just falls flat. That said, Beast Wars fans are more than used to hearing about how well the show’s animation has aged. (Like fine freaking wine, thank you very much.) It could be pretty cool to see a ‘live action’ Beast Wars movie with Dinobot’s raptor animation on par with Jurassic Park. This is, of course, assuming the film is completely faithful to the original material. Uneasy lies the head that treads lightly on perfection. The rest is silence. Of course, with a Beast Wars film comes the rest of the amazing cast. Which is just prime since Dinobot wouldn’t be Dinobot without a certain obnoxious vermin. The added bonus here is that Dinobot is a studio buy-one-get-four since the talented Scott McNeil voiced Dinobot, Rattrap, Silverbolt, and Waspinator all on his own. Hearing the original cast in theaters with modern visuals sounds like the nostalgic pipe-dream we shouldn’t even ask for because it’s just too perfect to really happen. Is it cheating listing a gestalt as one character? Superion is, of course, a combiner composed of the Aerialbots Silverbolt, Air Raid, Fireflight, Skydive, and Slingshot. Devastator featured initially in Bay’s Revenge of the Fallen. He wasn’t the worst thing about that movie by any means, but the design took a lot of creative liberties to mixed results. Love him or hate him, it would be cool to see another combiner on the big screen. There are quite a few cool combiners to choose from, from Bruticus to Predacus and beyond-icus. But Superion offers the unique opportunity to give the Autobots just a little bit of air superiority. We sort of saw a flying Autobot with the appearance of Jetfire in Revenge of the Fallen. But Bay’s version was too old to provide much useful air support. Despite the name, Autobots are not always limited to ground vehicles. Adding flying Autobots would amp things up considerably. More importantly, Superion would provide the Autobots with an actual advantage for once. Bay movie Autobots always seem to have the short stick as forever small, scrappy bands of rebels on the run. This makes sense initially since they usually start off splintered and fleeing from Cybertron in most iterations. But after a while, ya gotta take a stand. We’ve seen enough skirmishes and close calls. At some point, the Autobots have to regroup and actually bring it to the Decepticons. And what better way to do that than with a super-massive flying gestalt gladiator? Ah, Prowl, Prowl, Prowl. Prowl is the Autobot equivalent of Starscream in that you either love him, or love to hate him. He’s incredibly smart and intelligent, but somewhere along the way morality slips a bit and suddenly he’s flipping tables on the run. Barricade was cool and all, but the greatest tragedy of the Bay films was that we didn’t have Prowl on the other side making us wonder which of the two was truly the bad cop. Do the flippant wits and roguish behaviors of Bay Autobots like the Wreckers actually make them morally diverse? Or is it just that we saw so little of them they only seem edgy because they have robot trench coats and cigars? Having morally black-and-white delineations between Good Guy Autobots and Bad Guy Decepticons is cool and all. But Transformers reaches incredible new heights when those boundaries are heavily blurred. Prowl is the go-to for this on the Autobot front. He’s undoubtedly aligned with the Autobot cause, it’s just that he’s sometimes willing to go a little too far to do what needs doing. And if the potential for political intrigue, suspense, or film noir Transformers doesn’t excite you, there’s always the Animated variation of Prowl. Add a splash of haughtiness, a touch of Eastern martial arts philosophy, take away a couple wheels, and voila. There’s still some room for greying morality and therein the potential for a proper scum-and-villainy Lockdown appearance. But at the end of the day, this Prowl will do the right thing. 1986 gave us a lot of iconic characters, which makes life difficult. You can’t have Ultra Magnus without Rodimus, but you can’t have those two without their crew. Honorary mention to The Crew, but Ultra Magnus makes this list because of severe personal bias. Ultra Magnus is like the Everyman Optimus Prime. Magnus is physically similar, has similar ideals, could have been the same glorified sort of figurehead in a different lifetime. But instead, he’s the guy who does the paperwork and plays it by the books. He’s the levelheaded counterweight to Rodimus’ stupid ideas. He’s the team mom who hands you your packed lunch and reminds you to take off your shoes indoors. Ultra Magnus may actually be one of the most important characters of this entire franchise, right under, like, Alpha Trion. Seriously, though, Magnus comes in a joint package, so if he’s too boring for you, have some Rodimus. But for those of us who love Friday night recitations of the entirety of the Autobot Code and are excited by the words ‘Tyrest Accord’ whispered in our ears, this is where the party is. Ultra Magnus brings an added layer of leadership and guidance to the movie universe. He’s the judge figure to Prowl’s detective to Optimus’ general. He’s also the number one combatant of dirt. This might sound a bit like a pointless detractor from Optimus’ spotlight. But when the cast really expands and includes more and more volatile factions like the Wreckers, it’s important to show that there’s structure and logistics enough to manage everything. It both legitimizes the Autobots as an actual militarized faction, and elevates Optimus further because there are high-ranking officials who place their faith in his leadership. Plus, there’s always the IDW-added layer of Minimus Ambus to be explored (and zoomed in on) on the big screen. Arcee is one of the crew members who appear in the first few minutes of Bumblebee. She was actually in Revenge of the Fallen as three mind-linked motorcycles, but her Bay appearance is largely forgettable background eye-candy. Her original G1 characterization is a little too just-that-side-of-generic-token-female for some. But she’s become a more satisfyingly fleshed out character over time. Her Transformers Prime iteration with her classic design would be a nice, straightforward approach, or there’s the IDW option, which took a more interesting route in explaining gender for giant alien robots. Really, Arcee could be a placeholder for any female Transformer, she just tends to be the female poster child of the franchise. She’s therefore arguably the coolest and most likely to appear. Gender in Transformers has always been a hotly contested subject among fans, but a little representation for all fans never hurts. These days, Hasbro seems to be desperately trying to push Windblade with varying degrees of success. Frankly, she just doesn’t have the history for this list. There are, of course, several other classic characters like Elita One, Chromia, or Moonracer. Or on the Decepticon side, Blackarachnia/Airachnid, Slipstream, or Strika, among others. Cyclonus has come a long way since 1986. He took a pretty big hit when his toy was canceled and his characterization took a nosedive in the final season of G1. His brief Animated appearance at least made him look cool. But finally IDW has completely, more than successfully revitalized his character. The appeal of IDW Cyclonus lies heavily in his brooding ronan persona. He’s an ‘other,’ not a Decepticon, who just follows orders. In the absence of Galvatron, he’s basically a lost soul. It’s definitely too soon, if not a complete pipe-dream, to expect the Transformers films to ever reflect dissolving faction lines. 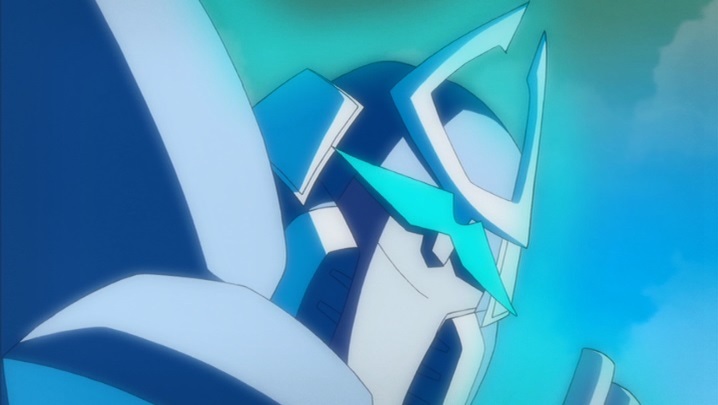 But thank Primus for IDW. IDW built its success around the idea that all Cybertronians, Autobot or Decepticon alike, are varyingly sympathetic characters doing their best with what they’re given. To see more dynamic motivations among the Decepticons represented in film would be amazing. Seeing third-party characters outside of the Autobot vs. Decepticon format, a la characters like Cyclonus, would be a dream come true. Plus Cyclonus comes with his IDW Lost Light family. Other related characters like a Galvatron unrelated to Megatron, or his Wrecker rival Whirl, would be fun to see on screen. And, of course, we can’t talk about Cyclonus without mentioning Tailgate and their relationship. Who exactly do we have to bribe to get a More Than Meets The Eye movie?? For the uninitiated, Orion Pax was the name of Optimus Prime before he became Optimus Prime. If you need further convincing that the big names behind the Bay films aren’t fully invested in the source material, Bonventura still thinks of Optimus as a ‘stoic leader’ who couldn’t carry his own film the way ‘emotionally volatile’ Bumblebee can. Will somebody get that man a copy of War Dawn, please and many thank yous. No one’s going to argue that Optimus isn’t always under immense pressure that he bears with utmost integrity and composure like the legend he is. He’s never exactly been the type of character you’d chum around with per se, largely out of immense respect, and the Bay movies more or less did fine with that. But they never tried to see him as anything other than what he already is. The fact of the matter is, he hasn’t always been that way. Optimus Prime has been a few things throughout his iterations, from dockworker to police cadet to library clerk. The overlapping idea, though, is that he came from a simple background and, through extraordinary circumstances, came to be the fearless leader we all know and love. If the coming-of-age story of Optimus freaking Prime couldn’t carry a film, there’s no hope for Hollywood. If the theme of this article hasn’t been beaten into your head enough yet, it’s that Transformers plus blurred lines equals amazing. If anyone truly suffered throughout the Bay series, it was the Decepticons. Yes, G1 Megatron and Starscream were largely comically evil in that classic ‘80s villain way. No, they aren’t exactly redeemable characters even when they are more sympathetic. But it’s 2019 and Transformers has come a long way since G1. Should we mention now that Megatron recently became an Autobot? See, it’s complicated. And it’s okay to value more mature, intelligent villains once in a while. IDW completely hit it out of the park with its interpretation of Megatron as a former energon miner gradually turned political activist rebelling against a strict caste system that dictated one’s role in life based on the inherent function of their alt-mode. He formed a friendship with police captain Orion Pax, wrote political theory, became a gladiator, and worked his way through the corrupt Cybertronian elite until he had built an army of dissenters. After a series of assassinations, the Decepticons gained control, and the rest dissolves into the tale of absolute power corrupting absolutely that we all know and love. Then it came back around full circle. The fact of the matter is, Megatron is no more static than Optimus Prime. They are both growing and adapting to their circumstances as the war rages, and that’s what makes them interesting. Bay Megatron couldn’t hold a candle to IDW Megatron. No matter how big things get, Megatron and Optimus are the constants of Transformers. Yet the Bay films killed him and Starscream off long before either of their characters could ever be explored in any depth at all. What screen time they did get was largely more about presence than substance, and even that was, frankly, lacking. Both Megatron and Starscream alike deserve roles far, far more dynamic than evil for the sake of evil. Which Transformers Do You Want To See? Bonventura can claim that Bumblebee is a direct prequel to all he likes. The fact of the matter is, though, that Bumblebee opens far too many creative doors and the future potential for profit to leave it at that. The designs are significantly different, and much of the timeline no longer aligns. Bumblebee sequels would only continue to contradict the original Bay films. Best case scenario, this ‘soft reboot’ slowly becomes a ‘hard reboot.’ If future films continue the trajectory Bumblebee has established, we may be lucky enough to see more and more faithful appearances of the characters we’ve grown up with. There are hundreds and hundreds of Transformers characters across the franchise, so a list of 10 doesn’t even begin to break the surface. Let us know in the comments who you’re most hoping to see!